Travelbag offers a wide and varied selection of fantastic hotels in Argentina to meet all of your discernible needs. Whether you are travelling on a budget and require a cheap hotel, seeking something to accommodate the entire family in comfort, or treating yourself to a luxuriously appointed resort, Travelbag pledges to offer an Argentina hotel to suit everyone. With our excellent up-to-the-minute deals, superb quality line-up of hotels and resorts, and commitment for value-for-money, Travelbag is certain to have something to meet every budget, requirement and preference. Here is just a selection of our favourite and cheapest hotels in Argentina & Antarctica. Please use our search panel above to find your perfect choice. The Alvear Palace first opened its doors in 1932, welcoming guests with its beautiful decoration and imposing architecture. 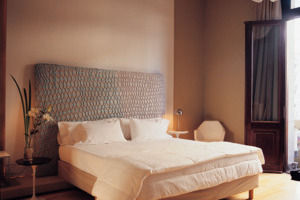 Occupying a former mansion in the heart of the exclusive Recoleta district, the hotel has played host to visiting dignitaries, Hollywood actors and international rock stars. From its grand public areas to ... the elegant European detail in the bedroom furnishings, the hotel has an air of sophistication and charm which is matched by the unparalleled service and high quality of facilities on offer. 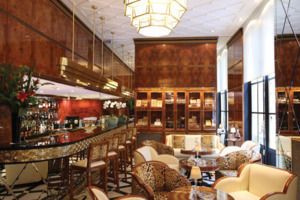 The two restaurants, LOrangerie and La Bourgogne, serve exquisite French and international cuisine in beautiful surroundings, as well as the famous Alvear Tea, and you can enjoy classic cocktails in the refined fin de siècle lobby bar. For your true indulgence, the Alvear also boasts a brand-new luxury spa. Located in the same grand, ornate building as the Galerias Pacifico Shopping Centre in downtown Buenos Aires, guests at the boutique, yet regal Esplendor Hotel don't have far to travel for shopping or dining options. However, the hotel's own bar and restaurant serves up international cuisine and dazzling cocktails in ... chic surroundings that are hard to leave. Behind the classic façade, the hotel's interior has been modernised with a unique design, state-of-the-art installations and exclusive, minimalist rooms with classic high ceilings and views onto prestigious Avenida Cordoba or the imposing interior patio. 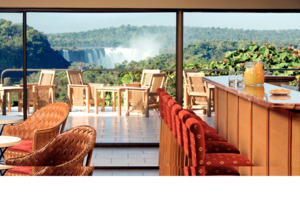 Enjoying an enviable location in the heart of the national park on the Argentine side, the Sheraton Iguazú Resort & Spa is set in beautiful subtropical gardens within walking distance of the spectacular falls. Many of the guest rooms offer incredible views of the Devil's Throat waterfall, as do the ... hotel's public areas, and the pleasant sound of falling water is an ever-present accompaniment to any stay here. In addition to its stunning situation, the Sheraton has an equally impressive range of facilities, with a choice of restaurants and bars, a beautiful pool which overlooks the falls, a modern and fully equipped fitness centre, as well as tennis courts and a putting green. A wide variety of treatments are available at the SEDA spa, along with a spacious relaxation room and therapeutic whirlpool bath. 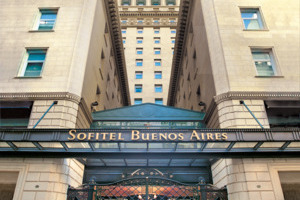 Situated on leafy Arroyo Street, a charming, tranquil and decidedly chic avenue in the Retiro neighbourhood of Buenos Aires, the Sofitel is tucked away from the crowds in an area known for its antique shops and art galleries. Elegantly furnished with a perfect blend of French savoir faire, Argentine tradition ... and art deco styling, the Sofitel is classically decadent whilst maintaining a boutique feel and emphasis on personal service, more common in far smaller hotels. The sophisticated bar is popular with Buenos Aires' beautiful people and makes a great start or finish to an evening's entertainment in this lively city.